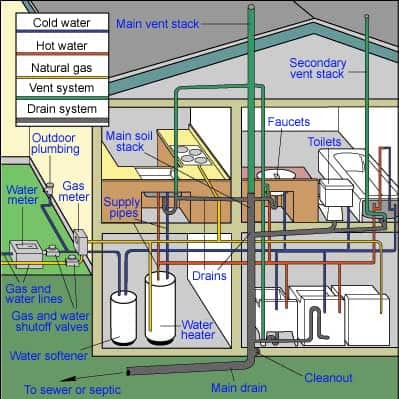 Two main types of plumbing serve house: water supply pipes and drain-waste-vent pipes. The water supply pipes are under pressure, but the drain-waste-vent pipes operate via gravity. 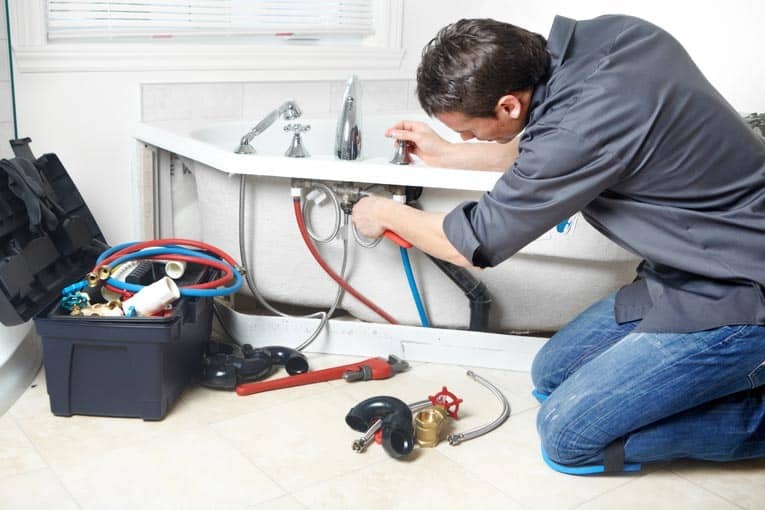 Other more specialized plumbing systems include natural gas piping and central vacuum systems. A main water supply pipe connected to the water company’s main or to a well on your property supplies water to your house. If you’ve ever seen water gushing from a fire hydrant, you have some idea of the pressure moving the water along. Once the water arrives at your house, the main supply divides into one system of pipes for cold water and another—connected to the water heater—for hot water. The hot and cold water pipes often parallel each other. Waste drainage systems take advantage of gravity to channel waste to the sewer line. The soil stack, a vertical run of pipe 3 to 4 inches in diameter, carries waste to a main drain, usually underneath the house, which empties to a sewer or septic tank. Vent pipes prevent sewer gases from seeping into your house, while traps—water-filled bends in pipes—keep gases from escaping up the drain. Vent pipes may connect with the soil stacks or vent directly through the roof. One thing that all plumbing systems have in common is pipes. From water supply to gas piping to drains, pipes are the fundamental material of home plumbing. Large-diameter (1 1/2 inch and larger) black plastic, cast-iron, and copper pipes are often used for the drain-waste-vent system. 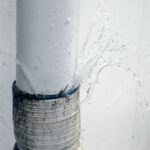 A 4-inch or larger plastic or cast-iron pipe usually serves the main soil stack, the waste and vent line that serves toilets and other bathroom fixtures. Pipes that are 1 1/2 inches and larger in diameter generally serve other waste and vent lines; light-gauge plastic pipe from 1 1/4 inch to 1 1/2 inch in diameter is sometimes used for built-in vacuum-cleaning systems. Smaller-diameter, flexible copper or plastic tubing is used for water supplies that feed ice makers, hot water dispensers, water filters, and the like. Fittings may be brass or plastic. You’ll also find flexible (sometimes ribbed) pipes serving from a small wall valve to toilets and faucets and flexible piping rated for delivering gas from valves to water heaters, dryers, and other gas appliances. 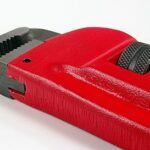 Metal or plastic pipes are joined by a variety of fittings designed to couple lengths in a straight line, turn corners, branch in two directions, reduce or enlarge pipe size, or connect to some type of fixture. Following is a closer look at the main types of pipes. Rigid copper pipe is widely preferred for water supply piping. It’s sturdy and durable, resists mineral buildup, and can handle both cold and hot water. 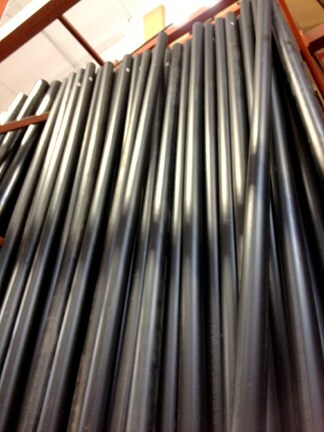 Hard supply pipe is sold in three thicknesses: M (thin wall), L (medium wall), and K (thick wall). 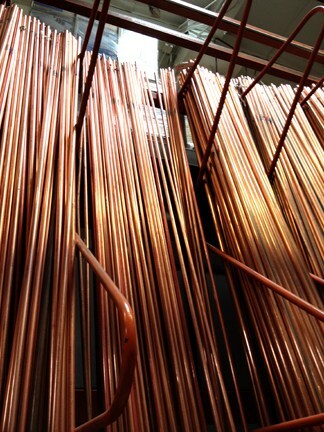 Most above-ground plumbing is Type M.
Soft copper pipe is more expensive than hard copper pipe, but it is flexible enough that it can be routed without the need for as many fittings as rigid copper. Type L is more commonly used than Type M for above-ground applications. Both kinds of copper pipe can be joined with permanently soldered fittings or flare/compression fittings that can be disassembled. Galvanized steel pipe and fittings were standard for water supply plumbing before 1960 and are still common. The galvanized zinc coating on the outside resists rust and corrosion, but over time the insides of the pipes clog up with mineral deposits and eventually corrode. 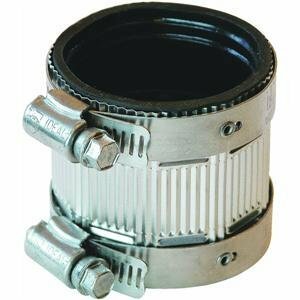 Watertight connections are made with threaded fittings. 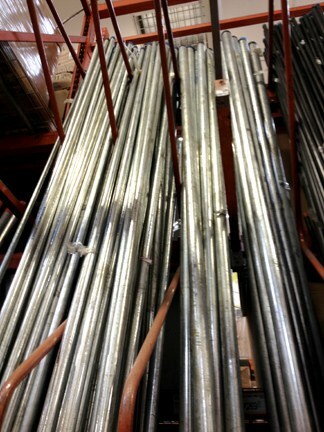 Larger-diameter galvanized steel pipe is used for vent plumbing in some houses. To prevent corrosion from the electrolysis that occurs when two dissimilar metals are joined together, a dielectric union should be used anywhere copper is connected to a steel pipe. Black iron pipe is similar to galvanized steel but, because it doesn’t resist corrosion, is used primarily for gas lines in homes. Plastic pipe is used in many plumbing applications because it’s relatively inexpensive, easy to install, and impervious to corrosion. However, in some locations, plastic pipe is not allowed by code for water supply piping, so check with your building department. Several types of plastic are used for pipes. Rigid pipe may be PVC (polyvinyl chloride), CPVC (chlorinated polyvinyl chloride), and ABS (acrylonitrile-butadiene-styrene). PVC is not typically used for hot- and cold-water plumbing, only for the DWV drain, waste vent pipes (DWV). Sometimes it’s used for outdoor water service lines, notably in warm climates where water in it won’t freeze. CPVC is used for hot- and cold-water plumbing—the extra ‘C’ at the beginning makes a big difference in the pipe’s properties. Flexible plastic tubing is made from PE (polyethylene). All plastic piping is rated for the pressure it can handle; this rating is stamped on the outside of the pipe. 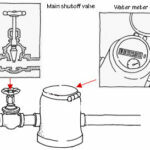 Plumbing codes don’t allow PE (aka HDPE) for hot- and cold-water plumbing inside a building, but PE is used for the outdoor water service lines, water mains, and the like. No-hub coupling connects lengths of cast-iron pipe. When adding new plumbing fixtures or appliances to your home, the first thing you’ll need to consider is whether your water pressure is good enough to support your additions. Check local building codes to find out the “fixture units” (a rating that represents the cubic feet of water used per minute) of an appliance or new fixture. This will tell you what type and size of pipe is recommended at the hookup. If you are planning a major remodel or addition, to find out what size pipe to use for water supplies, calculate the fixture unit ratings for all your fixtures and appliances and then approximate the length of the distribution pipes. In most cases, the main pipeline from the street to your home is either 3/4 or 1 inch in diameter, supply branches use 3/4-inch-diameter pipe, and pipes for individual components are 1/2 inch. Remember that water pressure decreases by a half-pound per square inch for every foot pipes extend above your water supply. For ideal water pressure to second- and third-story fixtures, you might need a larger pipe. Your local building code can help you determine the right size pipe in these situations. Okay, now that you’ve determined which type of pipes to use for your home plumbing job, here is a very helpful video from Julio Caluori at Go2Learn. 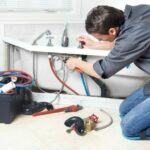 This will show you common mistakes that do-it-yourselfers make when handling their own plumbing repairs—such as improper techniques for soldering copper or joining dissimilar pipes together.